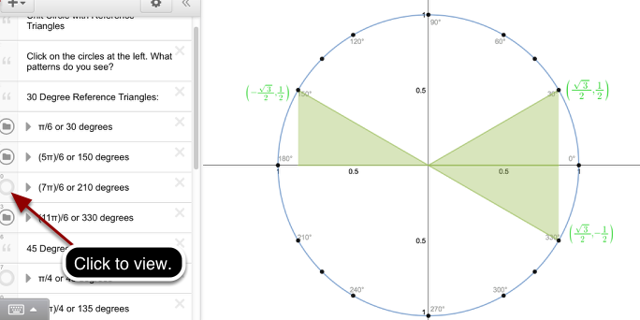 Click on the link below for the “Unit Circle (Desmos)." 1. 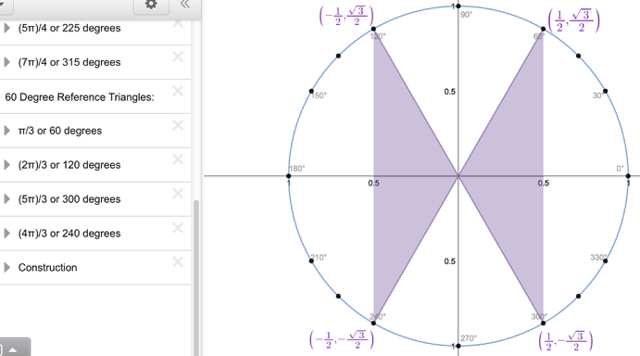 Unit Circle with Reference Triangles: Explore 30 Degree Reference triangles. 2. Unit Circle with Reference Triangles: Explore 45 Degree Reference triangles. 3. 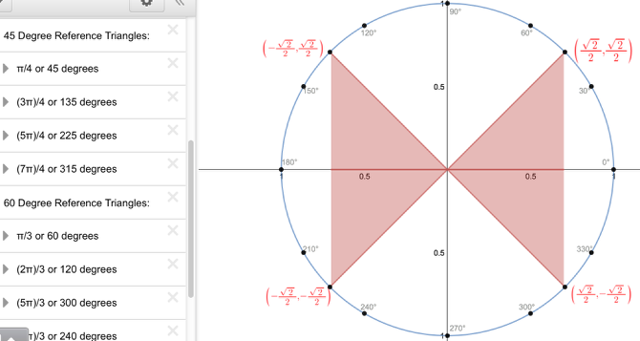 Unit Circle with Reference Triangles: Explore 60 Degree Reference triangles.